In a contemporary world in which our divisions are constantly on full display, it can be difficult to empathize and find common cause with others, especially those who we perceive to be different from us in some fundamental way. This message will address ways that we can show greater compassion for ourselves and others in these complex times. 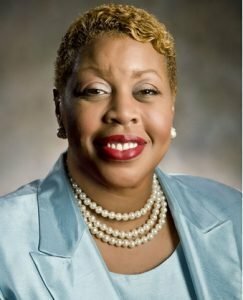 Dr. Kimberly Barrett currently serves as Vice President for Diversity and Inclusion and Associate Dean of the Faculty at Lawrence University, in Appleton, WI. Dr. Barrett has more than 28 years of experience providing services to college students, and working with faculty, governing boards, community members and others to promote learning, student development, diversity and social justice. She has presented at regional, national and international conferences, taught at the undergraduate and graduate levels, published articles for professional journals and served as a diversity consultant. Throughout her career she has been active in a variety of community organizations whose goals relate to achieving social and economic justice. Recently, Dr. Barrett was listed among the 42 most influential African-Americans in Wisconsin by Madison365. Dr. Barrett holds graduate degrees in Psychology and Higher Education.